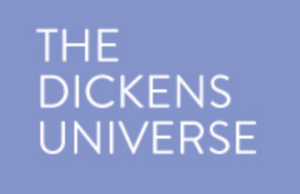 The Dickens Universe announces a unique research opportunity for Victorianist faculty and graduate students whose colleges and universities are not currently institutional members of the Dickens Project Consortium. The Nineteenth-Century Seminar is a working group of scholars led by two faculty members affiliated with the Dickens Project. Any “independent” faculty member or graduate student who wishes to attend the Dickens Universe is eligible to apply. During the seminar, participants will present a 5-7 page “position paper” on their current research projects; the organizers hope that this presentation opportunity will enable seminar members to secure funding from their home institutions to support their attendance. The seminar will facilitate vigorous discussion, address research challenges posed by the projects, and encourage future collaborations among participants. Interdisciplinary projects are particularly welcome. Projects need not be related to Dickens. The seminar meets from 9:00-9:45 AM, Monday through Friday. Seminar participants may also attend all regularly scheduled Dickens Universe events. Seminar Fee: There is no additional cost to attend the Nineteenth-Century Seminar beyond the regular Dickens Universe registration fee. To apply, please submit a two-page C.V. and a 200-word description of the research project you will share. Submit these materials electronically to Courtney Mahaney at dpj@ucsc.edu no later than March 31, 2019. The Nineteenth-Century Seminar will be limited to eight participants. Notifications will be sent after the deadline. The 2019 Dickens Universe will focus on Barnaby Rudge. For more information, including a list of principal speakers and attending faculty, go to http://dickens.ucsc.edu/universe/index.html or write to Courtney Mahaney at dpj@ucsc.edu.